Alex Shen is responsible for the strategic partnerships at GetYourGuide. As the leading booking platform for travel activities, GetYourGuide powers access to more than 30,000 attractions, tours and activities in upwards of 2,500 destinations. From skip-the-line tickets to the Eiffel Tower to shark diving in Cape Town, GetYourGuide offers things to do both on its own site and in partnership with premier travel brands including easyJet, Emirates, AccorHotels, KAYAK and more. 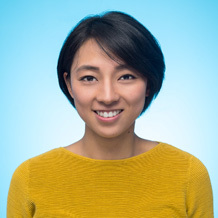 Prior to GetYourGuide, Alex has worked in a variety of China related roles in travel industry including co-founding zhuyouyou.com, an online tour activities booking platform for Chinese tourist to Europe. Alex holds a Bachelor’s degree in Physics from Imperial College London.